Venetian Gold is a Natural material. 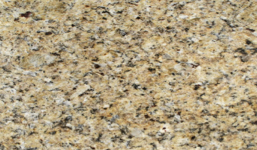 Venetian Gold is a Medium priced Granite stone. Venetian Gold is a warm looking material with light/dark cream, brown and parts of black in it. Both modern and traditional kitchens will be fine for this material to sit nicely in them. If this is not quite what your after then please ask one of the sales team to take a look at New Venetian Gold, Ivory Fantasy, Jaina, Giallo Venezia Oro or Brazil Gold. Venetian Gold is a Natural Granite from Brazil, Landford Stone offer this type of stone in a variety of thicknesses and finishes. Venetian Gold is a Medium priced stone and will look incredible in your home!